ASPEN – The victim of Tuesday’s avalanche in the backcountry outside the Snowmass Ski Area was identified Wednesday afternoon as Brandon John Zukoff of Snowmass Village. The 26-year-old native of Grand Blanc, Mich. was an avid skier and outdoor enthusiast, say those who knew him. He died when he triggered and was caught in a slide as he skied down Sand’s Chute. Two companions – one who skied safely down the chute first and one who picked a new route down after the slide caught Zukoff – located and dug out their friend and determined he had been killed, authorities said at a press conference Wednesday in Aspen. The companions, both local men, were not identified. 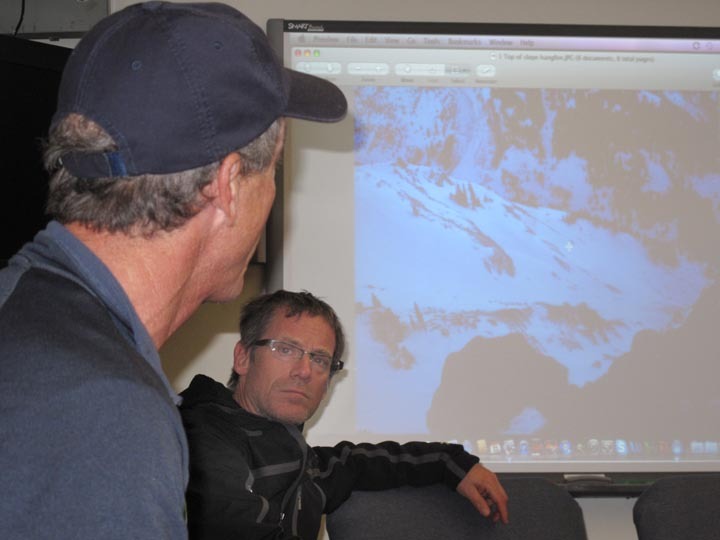 Members of Mountain Rescue Aspen and the Snowmass Ski Patrol, as well as Brian McCall, local forecaster with the Colorado Avalanche Information Center, assessed conditions in Sand’s Chute and the surrounding area Wednesday morning and found the snow still unstable. The decision was made to delay recovery of Zukoff’s body until the snowpack stabilizes, possibly on Friday, said Sheriff Joe DiSalvo. “I really want to make it clear how dangerous this area is,” DiSalvo said. “I will not risk their (rescuers’) lives at this point,” he said. Members of Zukoff’s family arrived in Aspen Wednesday morning and have been informed of the decision to postpone a recovery effort. “As far as I know, they’re backing this plan 100 percent,” DiSalvo said. A helicopter may be used to drop a recovery team close to Zukoff and minimize the danger, said Mountain Rescue Aspen member Scott Messina. Wednesday morning’s scouting of the area was done by airplane and on the ground, from a backcountry ridge where the trio of skiers began their decent after exiting from the Sneaky’s Run on the west side of the Big Burn at Snowmass. The chute drops down to East Snowmass Creek and members of the team that assessed the area Wednesday estimate Zukoff was caught by the slide about 200 feet above the valley floor. His body is about 1,000 feet below the point where the avalanche began, they said. For more on Wednesday’s developments, see Thursday’s Aspen Times.